Magnum opus maker SS Rajamouli had last delivered the pride of Tollywood, the big budget grand fantasy historical entertainer Baahubali series spanning across two parts, both of which starred Prabhas and Anushka and went on to collect more than 2500 crores together. Now, the director, after a break of a year has begun his next, and has already completed a schedule, of this biggie, a multistarrer that has Mega Powerstar Ramcharan and Young Tiger Jr NTR in lead roles, and titled RRR, is bankrolled by DVV Danayya in his DVV Entertainments. 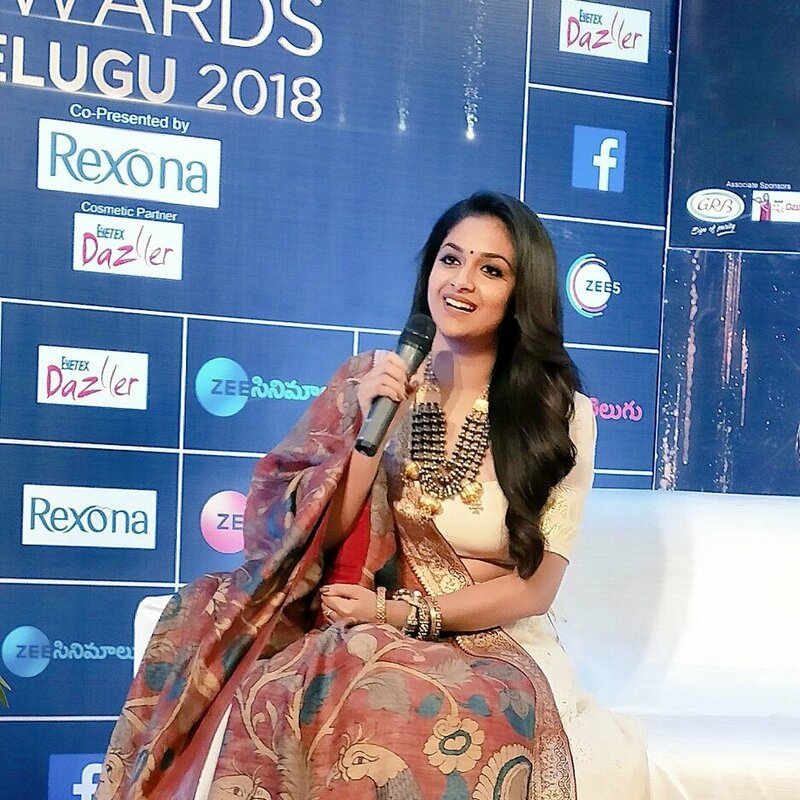 Buzz is that the director is considering to cast mallu beauty Keerthy Suresh in the movie and that the movie is titled as Rama Ravana Rajyam based on Ramayana, with Tarak playing Ravana and Keerthy as goddess Sita, as Rajamouli was impressed by her act in Mahanati. However, these are mere speculations. and an official announcement is awaited.